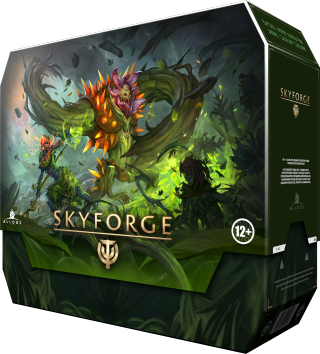 We are excited to announce the latest free update for Skyforge - Overgrowth will come to Skyforge on all platforms by April 12, 2018. Learn more about the exciting new features and content below! Tessa is finally back with us! After being lost on a distant planet for many years, the goddess and her new companions, the Grovewalkers, have returned to Aelion. But it is far from a triumphant return: the goddess is chased by hordes of the Phytonides. Machavann’s avatar has awakened and the enemy is preparing to attack with renewed vigor. 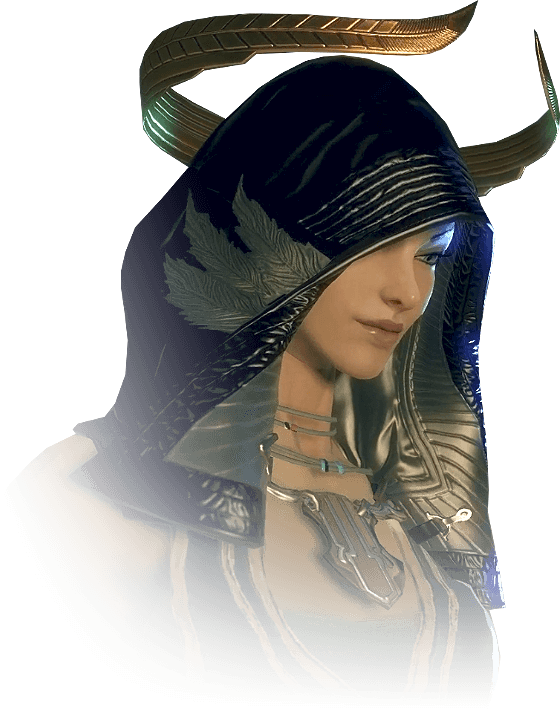 Log into the game already now to experience the exclusive Introduction event and defend Tessa's temple alongside the Grovewalkers. The Grovewalkers are highly proficient mages that sling wild nature magic at their foes from afar. But don’t be mislead by their nimble appearance; they can call upon the protection of their living armor and morph into hulking frontline tanks. A sight to behold and a feature that will transform combat on Aelion forever! Launches a projectile in the selected direction. Speed is 20 yd/sec, range is 40 yards. 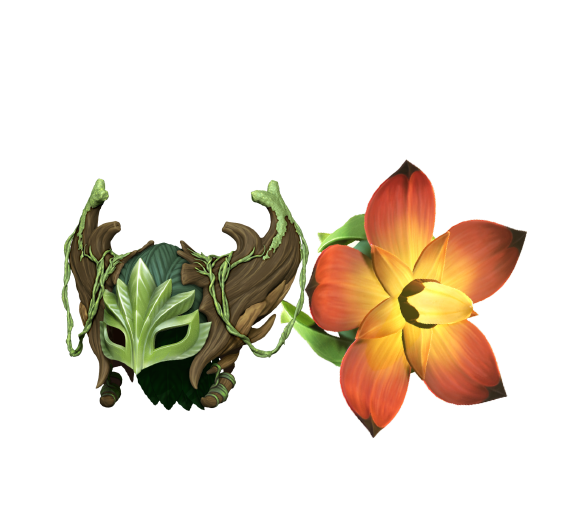 When hitting an enemy, an obstacle, or when reaching the maximum flight range, it explodes in a 7 yard radius, dealing damage to enemies and turning nearby acorns into flowers. It also spawns flowers in a 2 yard radius as it flies. Flowers attack nearby enemies, spitting at them. The maximum number of flowers at any time is 4. Flowers’ lifespan is 10 seconds. The Grovewalker sends a wind wave with leaves and acorns in the selected direction. The wind blows from the point behind the Grovewalker so it hits enemies behind them as well. The wind deals damage and slightly pushes enemies back, leaving acorns along the way. 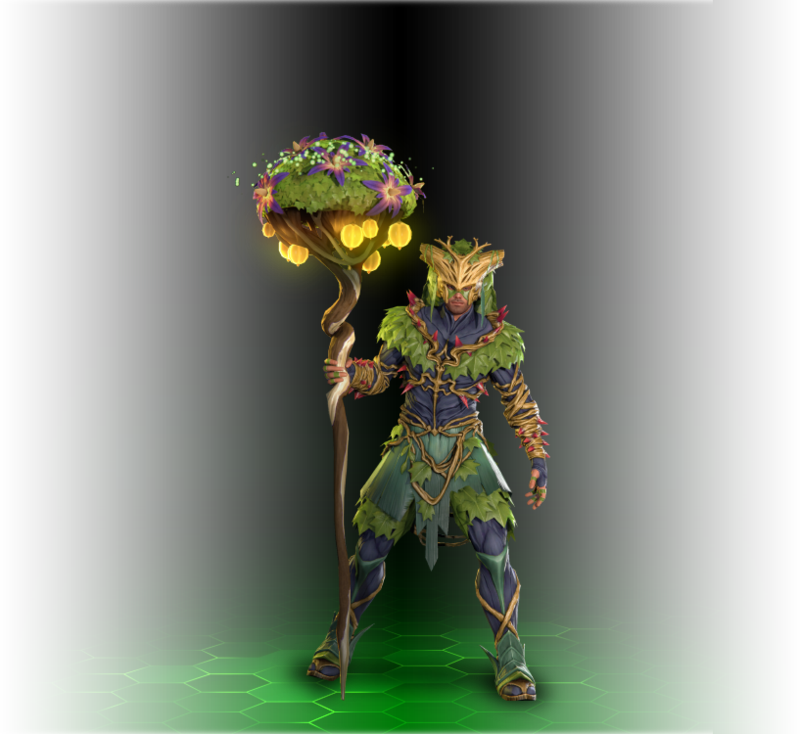 Boosts all flowers in a big radius. Boosted flowers inflict more damage. Using the ability again detonates the flowers, inflicting great damage in a 8 yard radius of each flower and leaving damaging pools with the same radius. Launches a wave of roots/lianas (6-8 yards wide) at a speed of 15 yd/sec. 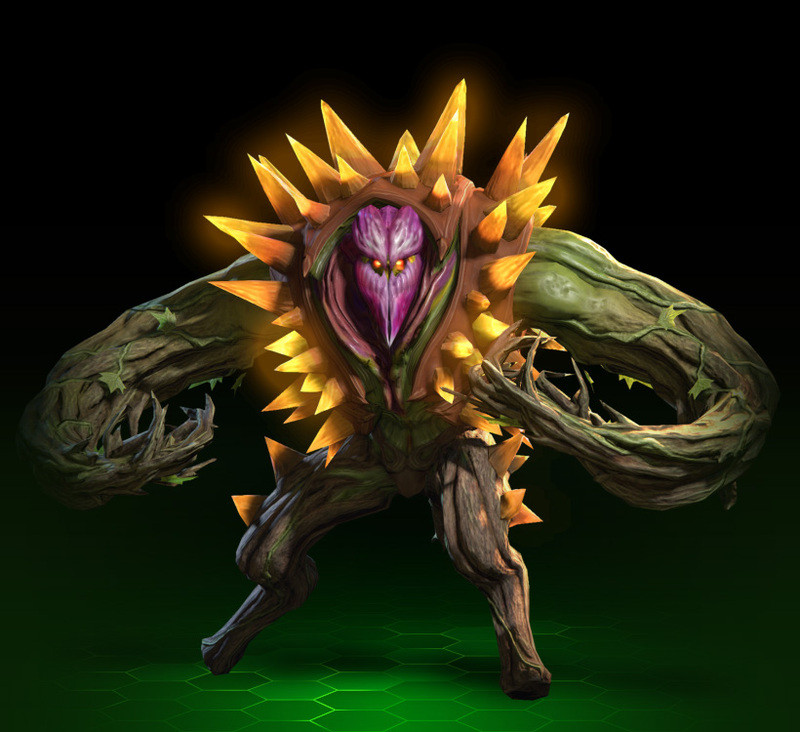 Inflicts damage and roots enemies, lifting humans with lianas. Basic attacks can reset the cooldown and increase damage. Turns into a swarm of fireflies. As a swarm of fireflies, moves quickly, becomes immune to control and cannot be targeted. Can be used when under control effects. Cooldown is 25 seconds. Turns into the phytoform that has its own abilities. 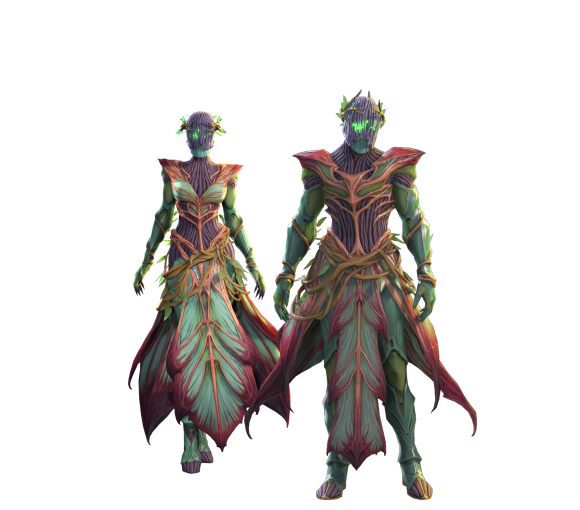 When the Grovewalker is in the Living Armor form, their flowers do not expire. Takes no more than 2 seconds. Reverting back takes 1 second. Strikes with hands, inflicting great damage in a small area of effect. An AoE attack that lasts 4 seconds, inflicting damage in a 10 yard radius. 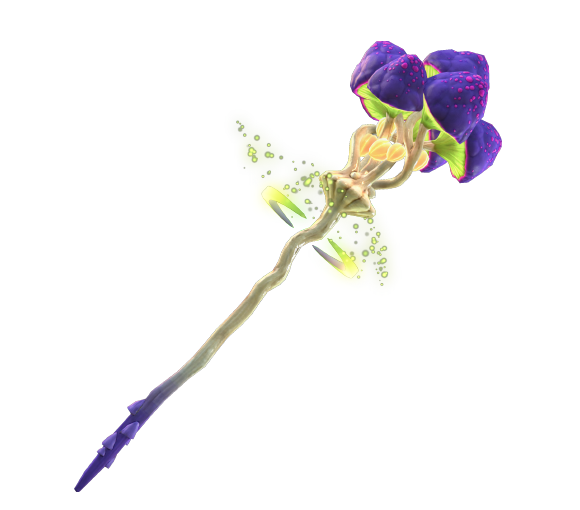 Sprouts thorns that reflect damage at enemies in a small radius and reduce damage to the Grovewalker for ~6 seconds. Can be used during Living Missile, increasing its damage. Coils into a ball, spinning, then rolls forward at a speed of 13 yd/sec. When it hits an enemy or an obstacle, it uncoils, dealing great damage to nearby enemies, knocking them off their feet. When reaching the maximum distance, it uncoils less aggressively. Strikes forward with a hand. Inflicts damage and knocks down enemies in a 4x20 rectangle. Heals itself for 6 seconds. The amount of healing depends on how much damage the Grovewalker has taken. Turning back into human form. Be one of the first to play the Grovewalker! Get access to the Grovewalker immediately! Protect Aelion and its residents using the immense power and resilience of this new hybrid tank class! 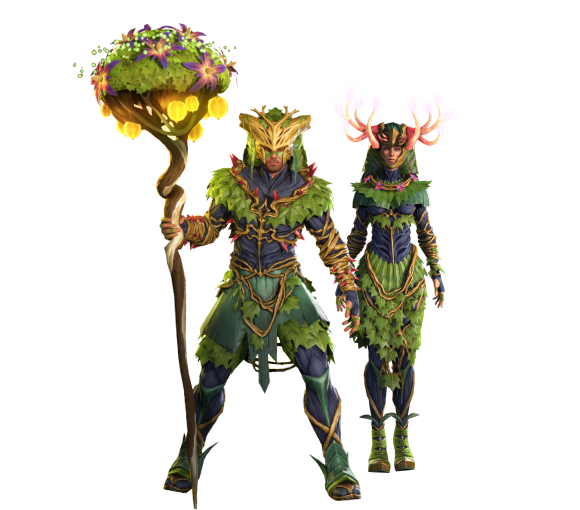 Unlock a unique Grovewalker Costume! Receive a legendary Grovewalker weapon of the 13th generation! You successfully purchased the Grovewalker Collector's Edition! We will deliver the contents to your account right now. Thank you! Face the trials in our brand new Challenge System and complete optional, entertaining, or extremely difficult tasks. Finish the full list of challenges and show everyone on Aelion what you are truly capable of! Prepare for the update together with us! Every week we unlock one gift for you. But be sure to claim it every week, before the opportunity has passed! 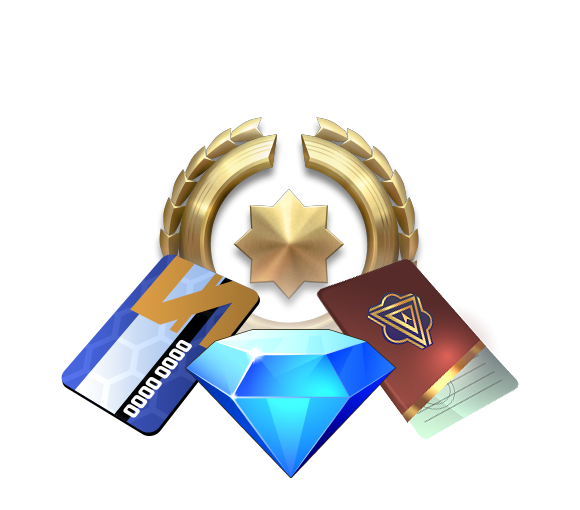 If you own the Collector's Edition you can even claim larger "Collector Rewards", and also retroactively claim regular rewards that you may have missed!